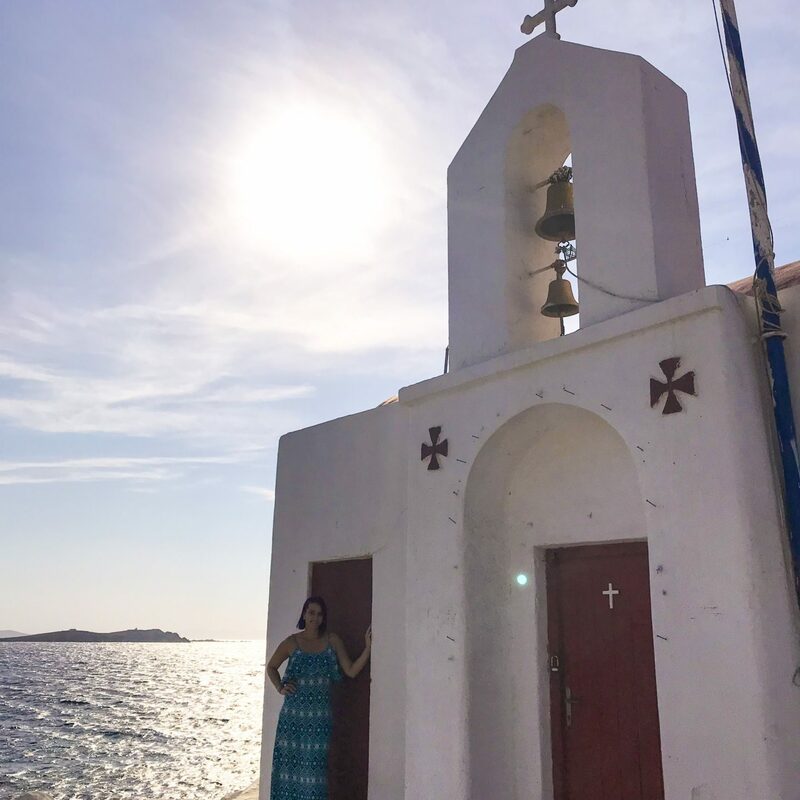 Mykonos was such a happy surprise! 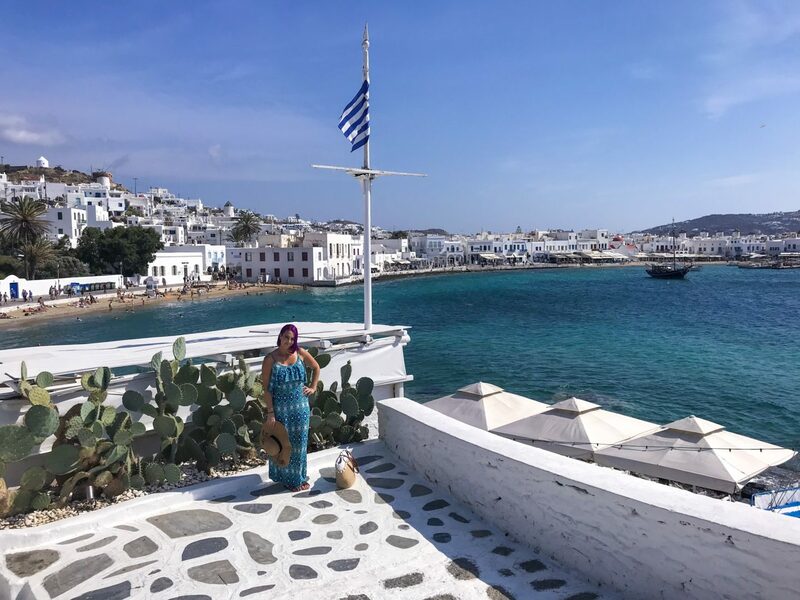 I wasn’t quite sure about Mykonos because I had heard it is super expensive, so I wasn’t convinced. But I am so glad we went! 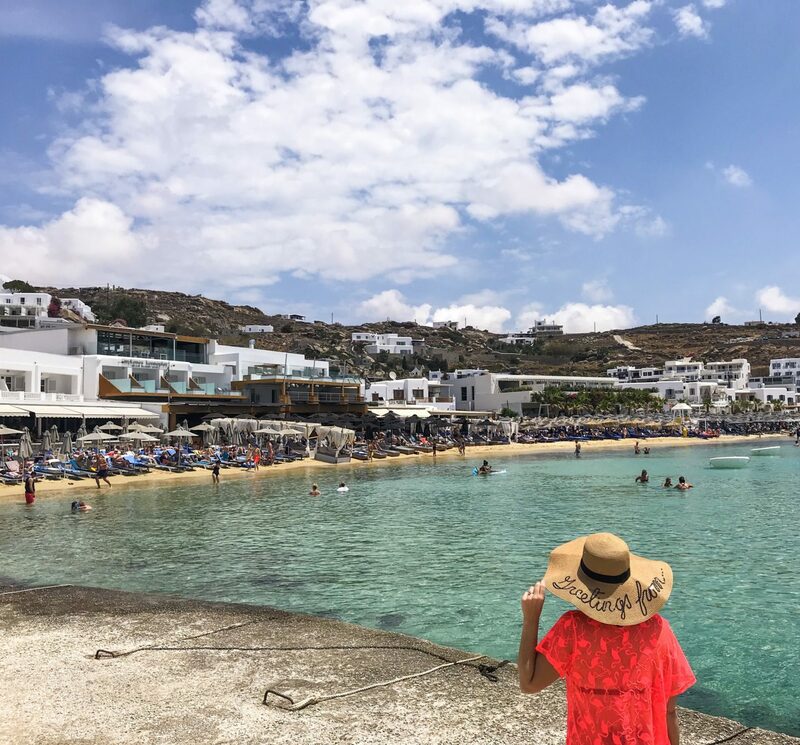 We flew from Athens to Mykonos in the early morning and arrived in time for breakfast at our hotel, which was a win.We stayed at Acrogiali Beach Hotel in Platy Gialos, Mykonos. It was on the Platy Gialos beach and just incredible. I would definitely go back. You can walk straight out onto the beach and it gave us the sandy beach experience before the pebbles of Santorini. Our hotel came with free hotel transfer and free breakfast. That was a game changer! The number of super yachts there in Summer is crazy! 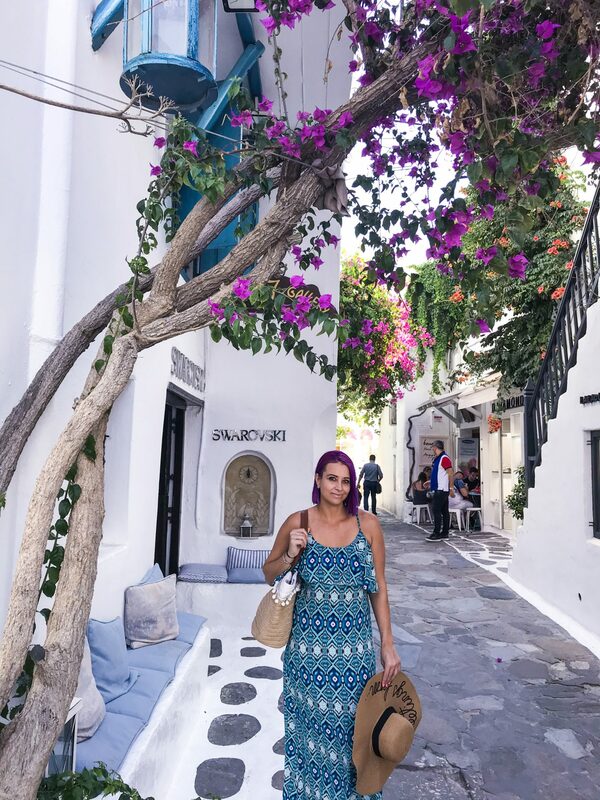 We didn’t want to stay in Mykonos main town, because it is quite busy with all the restaurants and clubs and not really a beach relaxed vibe. 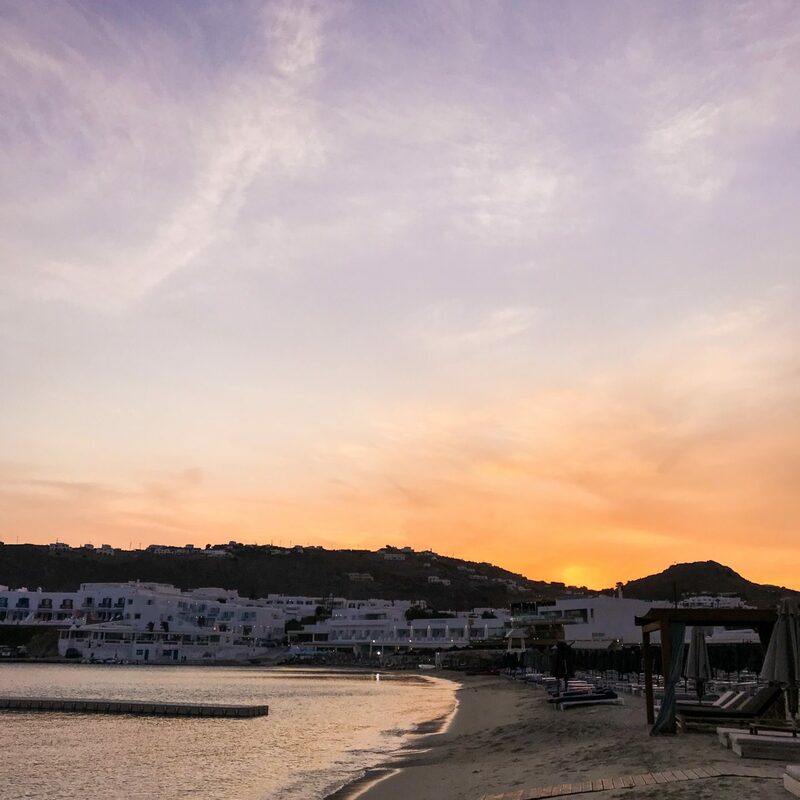 There are also a ton of other areas in Mykonos that we walked around the coast to from our hotel, and these are all party beaches. A lot have rustic accommodation and tents etc and are more for the young guns getting their party on every night. Literally the opposite of what I wanted! So it was nice to walk around to those beaches but so happy to walk back to our hotel and chill. 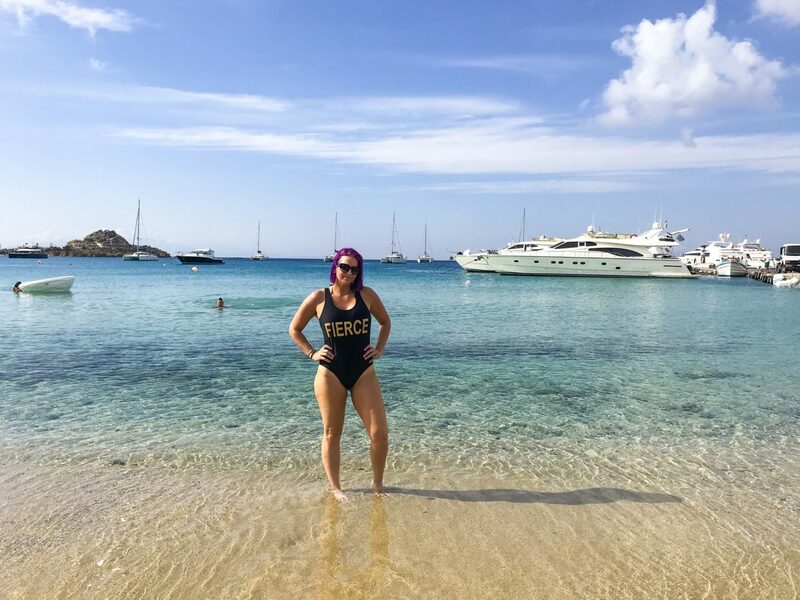 The beach clubs like Scorpios are where the parties happen, so if you’re into that, check that out! 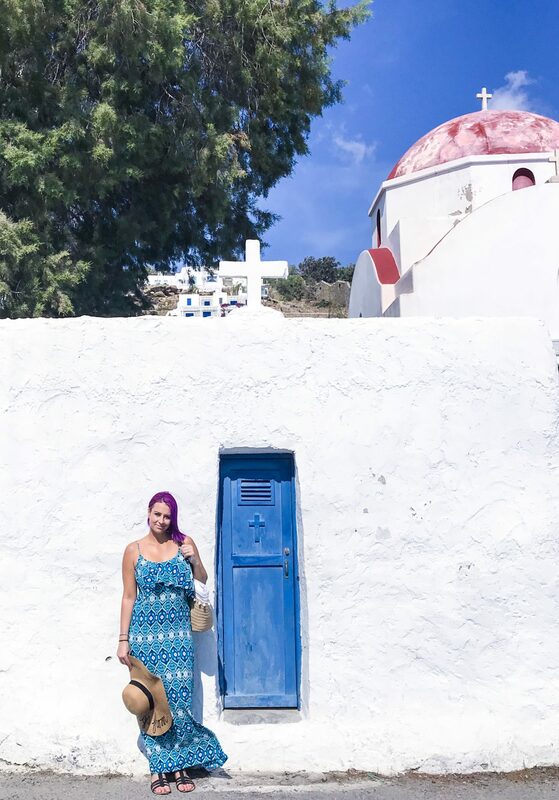 Our hotel was about 10 minutes away from Mykonos town by bus and the bus is super cheap. It leaves from the stop 100m away from our hotel, so we really found it convenient. We popped into town for some shopping and lunch. The town is like a maze of blue and white streets and shops, it is quite a mission to know where you are! But it is so beautiful for pictures, with bougainvillea everywhere. 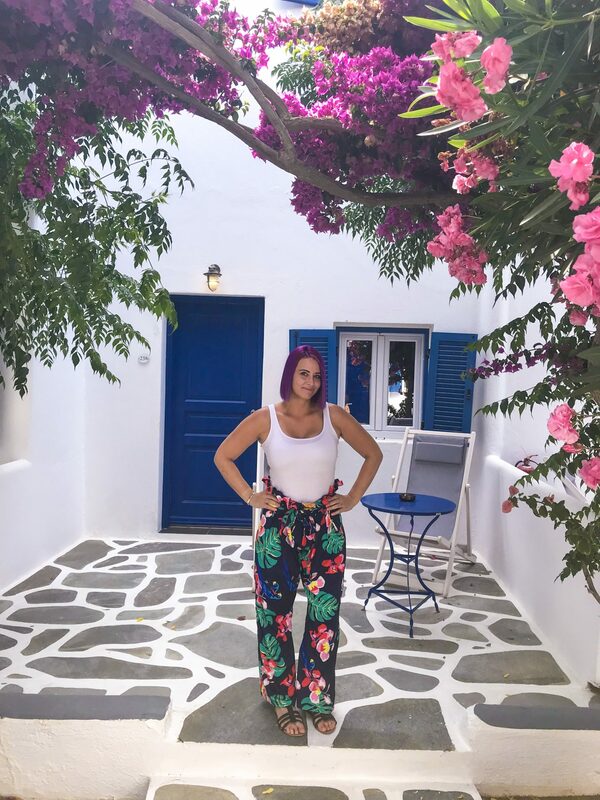 Our hotel was literally my Instagram photo dream! I am sure most of you don’t choose your hotels according to your bucket list photos, but I do! We narrowed it down to two and then I said pick either of those. So glad he picked this one! Beautiful room, beautiful views, beautiful beaches and beautiful hotel entrance with bougainvillea of dreams! It ticked all of my boxes for sure. 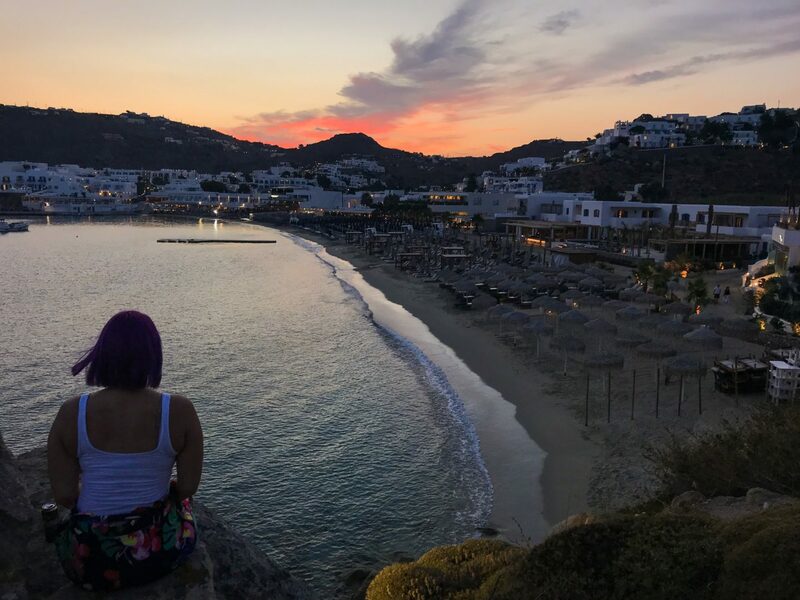 We ended off with this spectacular sunset overlooking the hotel! 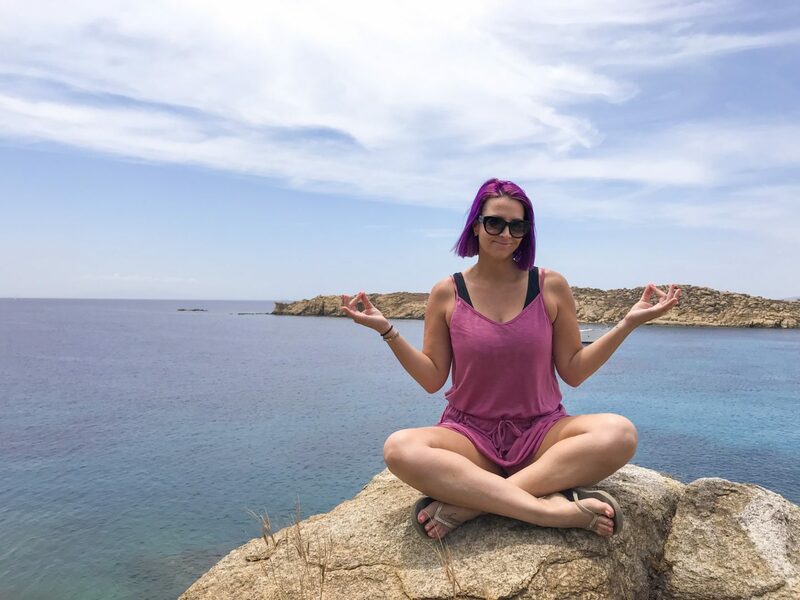 Next up we were heading to Santorini! 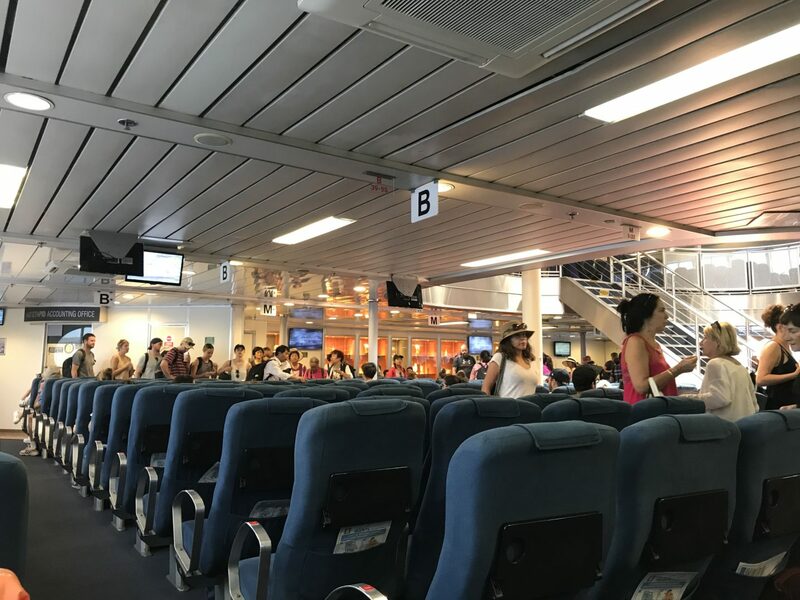 The ferry is a great way to get to the islands. 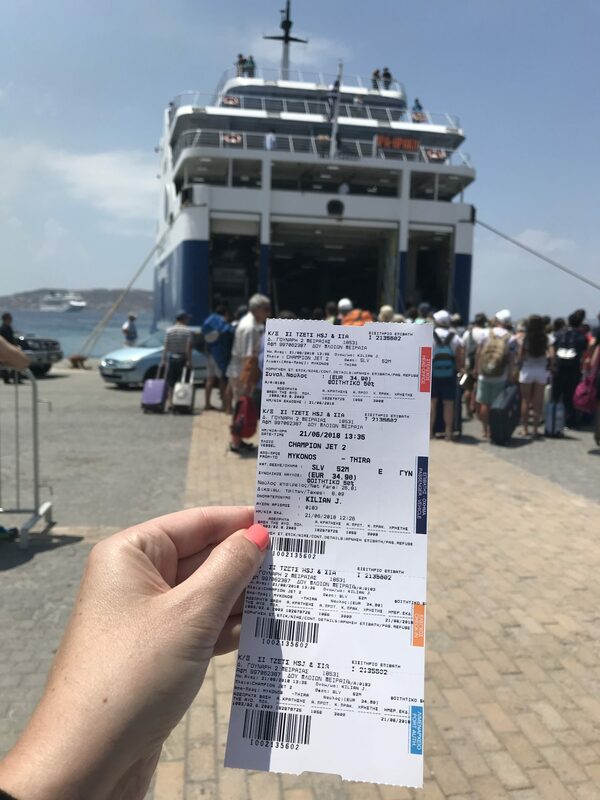 We took one from Mykonos to Santorini because flying the same route would mean Mykonos-Athens-Santorini, so we just did a ferry direct in 3:30mins. 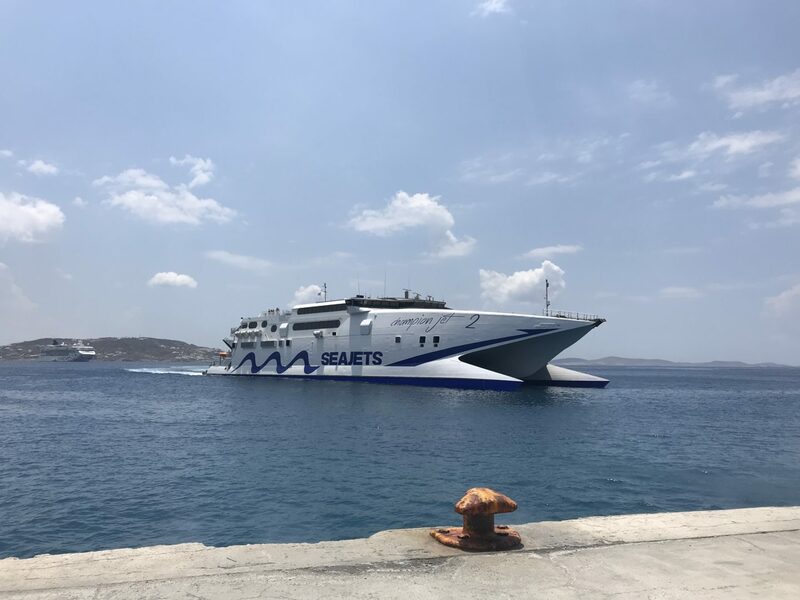 We used the fast ferry and you book online in advance. I was nervous because I get so sea sick. So I had taken one of those motion sickness wrist bands with, and it worked a charm! I made sure not to read and to face forward as well. It was so awesome and actually quite fun. They sell food onboard as well, but as South Africans with that exchange rate we just took our own. 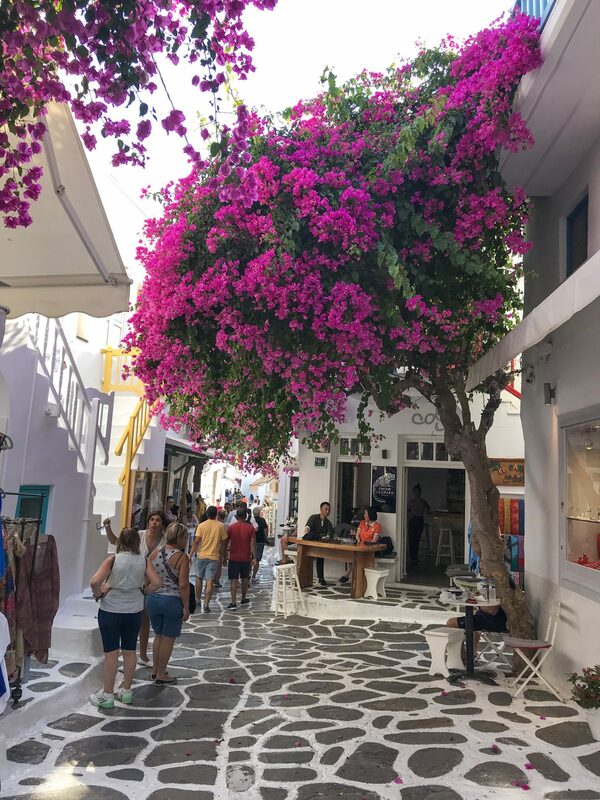 When we arrived in Santorini, we took the local bus to Fira town. It really wasn’t a mission at all, but definitely pay for the fast ferry, because longer than 3:30/4hrs is a bit of a waste I think. The ferry was a beast! So big and so many people! 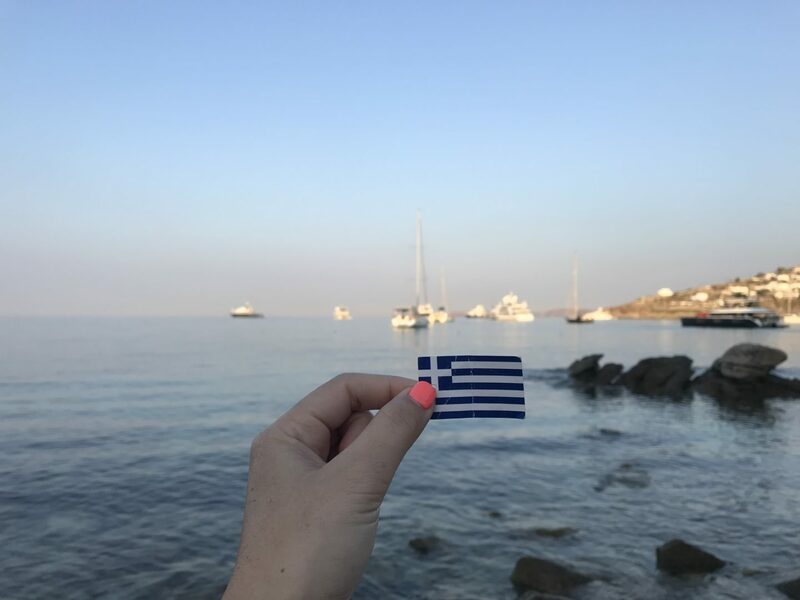 Have you been to Greece? 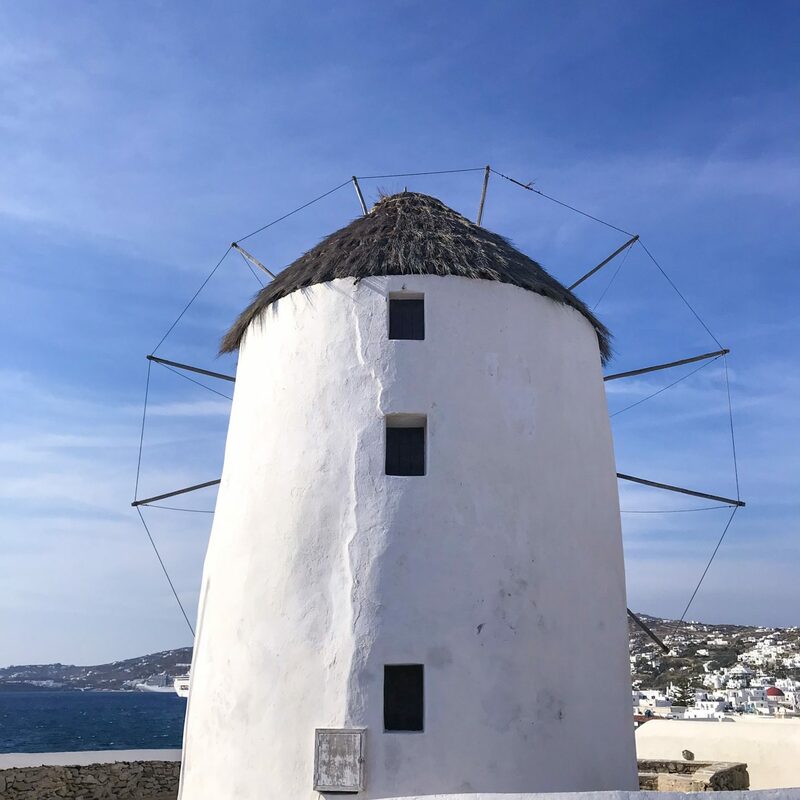 Was Mykonos on your list?